My very smart daughter showed me a cool way to get my kindle louder while playing audio books. I think its really cool. All it involves is a BOWL! 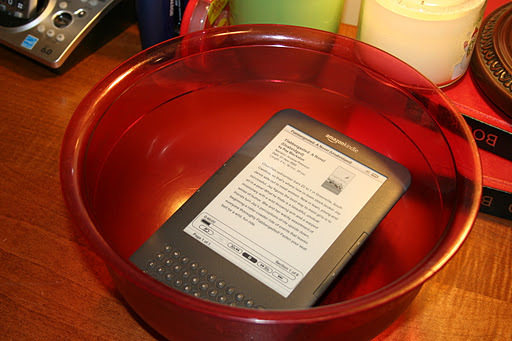 You put your kindle inside a bowl and its like adding a speaker. So I guess you can say the bowl is the speaker, a bigger speaker. So now I can listen to my favorite book louder. So Coool. and my girl is super cool, too! What is my favorite book, or at least in my top 5. I love books that make me laugh. I love books that are set in sunny locales, that make me feel warm when its cold out side. So I have this book, and most of Ray’s books, I am missing one or two. Par for the Course and Alex Lord which I am not too sure about it because its not Ray’s normal funny. 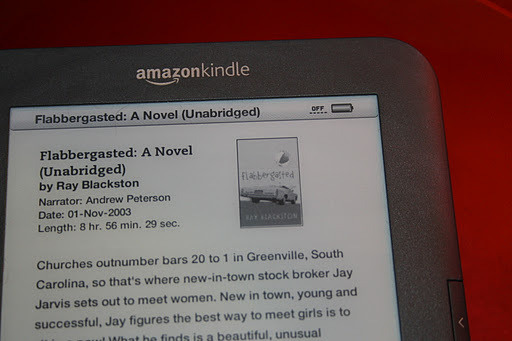 I also have this book from audible.com as I really love audible books. I love to listen to books while cleaning or doing other chores, or in the car though I don’t want to be distracted. So I am sharing my homemade speaker and one of my favorite books. I will say with audible books, you really have to find the reader’s voice pleasant or it can ruin a good book. Luckily, Andrew Peterson has a pleasant voice. And I just love it when he does a ladies voice, its quite comical. I also have A Delirious Summer in audible form and he reads that one also. And if you don’t know what that is, you better get the book right away! This entry was posted in Did U Know Series, Home/Family, My Fave Series. Bookmark the permalink.